Manufacturers that cater to the growing gluten-free consumer market increasingly are pursuing gluten-free certification for their products. This certification can provide the seal of approval some consumers want when selecting gluten-free food. Three organizations — the Gluten Intolerance Group's Gluten-Free Certification Organization (GFCO), the Celiac Support Association (CSA), and the Allergen Control Group/Canadian Celiac Association — currently certify products and companies as gluten-free. The three programs each have different standards and test for different levels of trace gluten in the foods and facilities they certify. The Gluten-Free Certification Organization (GFCO), for example, tests foods to make sure they contain less than 20 parts per million (ppm) of gluten. Gluten Intolerance Group Executive Director Cynthia Kupper reports that most products test lower than that, and some have no detectable gluten in them. The Allergen Control Group and the Canadian Celiac Association program also tests foods to 20 parts per million. This program, known as the Gluten-Free Certification Program, or GFCP, is endorsed in the United States by Beyond Celiac (formerly known as the National Foundation for Celiac Awareness). The Celiac Support Association (formerly the Celiac Sprue Association), meanwhile, requires foods to have less than 5ppm, a more stringent standard (less gluten is better, obviously) and also requires foods to be free of oats (even gluten-free oats). In comparison, the U.S. Food and Drug Administration's gluten-free label rules require foods to contain less than 20ppm of gluten. Manufacturers need to clear various other hurdles before receiving a program's seal of approval. This is where gluten-free certification goes well beyond the FDA's legal requirements for something to carry a "gluten-free" designation. For example, the GFCO requires yearly certification, a process that includes a review of ingredients, product testing, and a plant inspection. The CSA, meanwhile, performs facility inspections and product testing and also reviews product packaging to make certain it's free of gluten ingredients and components. The GFCO program requires product reviews, onsite inspections, testing and ongoing compliance activities, including random testing. Once a manufacturer receives certification, the programs allow the products in question to display a seal of approval. Applying for and receiving gluten-free certification from one of the organizations can cost a manufacturer significant money since they're generally billed for the audits, facility inspections and testing required. 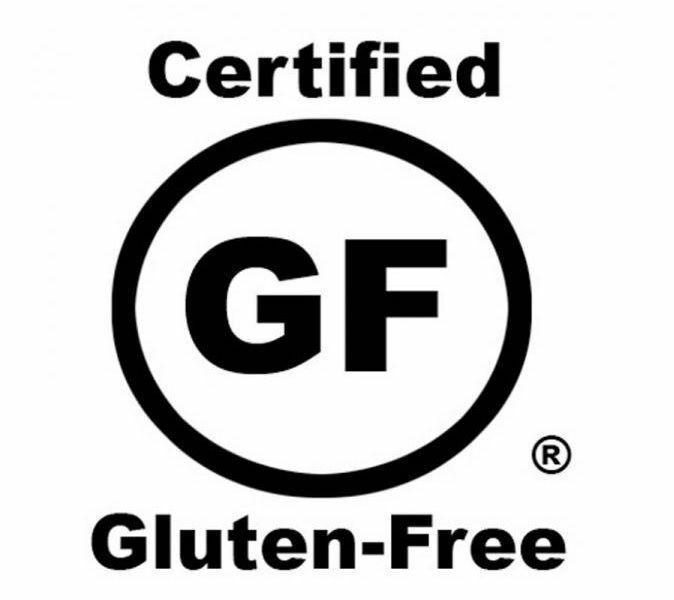 Therefore, companies that seek this certification tend to be quite committed to serving the gluten-free market. If a food carries a "Certified Gluten-Free" seal on its label, does that mean people with celiac disease and non-celiac gluten sensitivity can eat it safely? Generally speaking, yes. If a manufacturer has gone to the trouble (and expense) of having its products certified gluten-free, it's very likely (although not certain) that the manufacturer will adhere strictly to those gluten-free standards once the inspectors have gone home. In fact, a few of the manufacturers who go through the process and receive certification tend to be smaller organizations that cater specifically to those who cannot eat gluten. Many owners of these companies are celiacs or have people with celiac or gluten sensitivity in their families, and so they're extremely motivated to provide safe food. However, gluten-free certification doesn't guarantee you perfectly safe food. Conversely, gluten-free-labeled products that aren't certified may be just as low in gluten as certified products. The programs do have different standards, so if you're easily glutened even by foods labeled gluten-free, you might want to consider sticking with products that display the Celiac Sprue Association's Seal of Recognition. Those products are required to contain less than 5 parts per million of gluten. You also should look for products that are produced in dedicated gluten-free facilities (certification doesn't guarantee a dedicated gluten-free facility, although many companies that are certified by the three groups do have gluten-free facilities). Buying certified gluten-free products increases your odds of avoiding a reaction somewhat, especially if you're sensitive to extremely low levels of gluten. Of course, it doesn't guarantee you won't have a reaction — few manufacturers test for gluten below 5 parts per million, even though some people may react to less than that. In practice, you should use certification as a guideline — another tool by which you can judge potential new products. But in the end, always use your own body's reaction to the product as the final verdict on something new. How Much Trace Gluten Is in Your "Gluten-Free" Food? So Many Choices in Pasta Sauces but Which Ones Are Truly Gluten-Free? Is Oatmeal Gluten-Free and Can Celiacs Eat Oats? Pizza Hut Now Has Gluten-Free Pizza but Should You Order It?